The Commission will take forward work and consult widely on simplification and modernisation of the Common Agricultural Policy to maximise its contribution to the Commission’s ten priorities and to the Sustainable Development Goals. This will focus on specific policy priorities for the future, taking account of the opinion of the REFIT Platform, and without prejudice to the Commission proposal to revise the Multiannual Financial Framework. As concerns the position of farmers in the food supply chain, in the light of the outcome of the ongoing work of the Agricultural Markets Task Force and the High Level Forum on the food supply chain, the Commission will consider further action as necessary. There is no surprise regarding the reference to the position of farmers in the food supply chain. The Agricultural Markets Task Force report will likely be presented to the November meeting of the AGRIFISH Council. It will undoubtedly contain recommendations some of which may suggest legislative action, and the Commission must then decide whether to follow up on these recommendations with legislative proposals. Modernisation and simplification of the common agricultural policy to maximise its contribution to the Commission’s political priorities and to the sustainable development goals. The intent of this initiative has now been elaborated somewhat in the new Work Programme but there remain a number of curious elements around the proposal and how it is framed. •	The reference to the ‘simplification and modernisation’ agenda (reversing the order of words in the Letter of Intent) is contained in the covering Communication from the Commission. It is not listed specifically as one of the 21 initiatives on which the Commission pledges to take action. 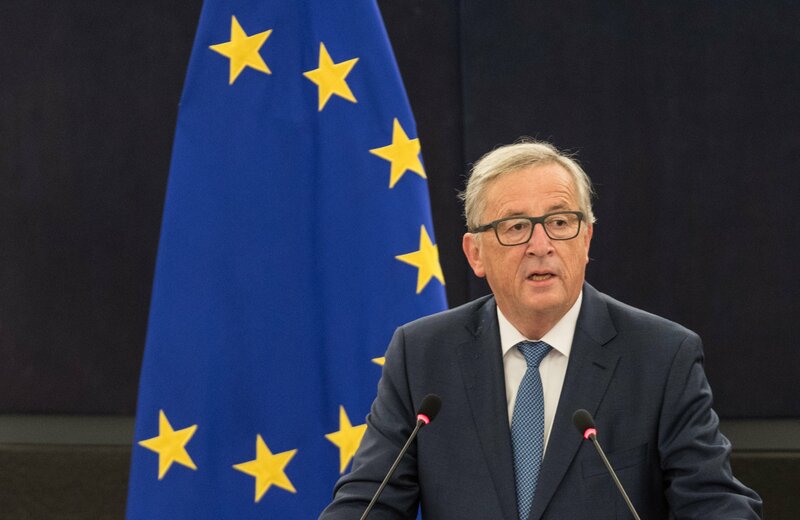 Commissioner Hogan is reported to have indicated at the October AGRIFISH Council meeting in Luxembourg that DG AGRI would be working on a Communication to address Juncker’s commitment in the Letter of Intent ‘to modernise and simplify the CAP’. If this is indeed the case, it is somewhat surprising that this is not explicitly stated as such in the annual Work Programme. •	However, the Work Programme Communication does make clear that DG AGRI’s work ‘will focus on specific policy priorities for the future.’ This would seem to point to a Communication, presumably together with an impact assessment of alternative policy priorities, sometime in the course of 2017. •	The policy priorities are framed in the context of (a) maximising the CAP’s contribution to the Commission’s ten priorities and (b) maximising its contribution to the Sustainable Development Goals. It is unclear whether a focus on maximising the CAP’s contribution to the Commission’s ten priorities (and presumably especially Priority 1 on boosting jobs, growth and employment) will likely constrain the scope of DG AGRI’s review. Potentially, all the usual suspects one would expect to see addressed in an agricultural policy debate (the design of direct payments, appropriate risk management instruments, strengthening producers’ bargaining power, market management, rural development programming) would seem relevant to the jobs, growth and employment agenda. The hand of Karl Falkenberg is clearly evident in the inclusion of the reference to adjust CAP policies to specifically address the Sustainable Development Goals. Whether this will be used to stress the need to produce more food in Europe to contribute to reducing hunger (SDG 2) or whether it indicates that environmental issues, and sustainability issues more generally (SDG 12), will feature prominently in the review, will only become clear over time. •	This ‘Communication’ and the policy priorities it evaluates will ‘take account of the opinion of the REFIT Platform’. The REFIT Platform is chaired by Vice-President Timmermans and consists of two groups – the ‘Government’ group comprised of one representative per member state, and the ‘Stakeholder’ group made up of representatives of business, social partners and civil society, the European Economic and Social Committee and the Committee of the Regions. It has the job to assess the merits of stakeholder contributions on how to make EU laws more efficient and more effective and to look at practical ways to follow up on these suggestions without undermining policy objectives. •	Finally, the DG AGRI ‘Communication’ is to be “without prejudice to the Commission proposal to revise the Multiannual Financial Framework”. I confess I am at a loss to understand how this should be interpreted, or what the purpose of including this reservation is. One interpretation might be that the DG AGRI Communication on ‘modernisation and simplification of the CAP’ will be confined to rather technical issues, such as those raised by the REFIT Platform, which might require revisions of the basic acts but without addressing broader issues of policy relevance and design. This would then leave the Commission free to propose a broader vision for the CAP in the Commission’s proposal for the next Multi-annual Financial Framework expected at the end of 2017. But it would hardly make sense to stretch DG AGRI’s limited resources to work on two separate Communications simultaneously. We can only hope that the Commissioner will be able to clarify what lies behind this reservation in the coming weeks. Update 26 October: A more plausible interpretation might be that the Commission is saying, fine, go ahead and conduct your consultation on the future CAP, but this is no guarantee that your recommendations will be funded in the forthcoming MFF proposal. One might see the hand of the Budget Commissioner here, who will not want to be committed to funding an expensive package of outcomes arising from the DG AGRI consultation. The Work Programme specifies that the opinions of the REFIT Platform will feed into the DG AGRI work over the coming months. The REFIT website contains the recommendations of the Platform grouped by theme, including agriculture and rural development. As of today, just three proposals have been progressed to decision stage although others are in the pipeline. To date, it has proved difficult for the Platform to agree on recommendations. The opinions issued are largely a list of the diverging views expressed by both government members and stakeholder participants, with little meeting of minds. This suggestion from the European Environmental Bureau was supported by the Stakeholder group which recommended that the Commission complements existing evaluation plans by carrying out a more strategic review (i.e. ‘fitness check’) of the CAP as a matter of priority to supplement the evidence base and inform any future reform on an appropriate timescale. A few members of the Government group supported this recommendation. However, a majority of government members firmly object to any review of the CAP framework this soon after the last revision given that 2015 has been the first year of the application of this new CAP and no evaluation results are available so far. They also argued that the REFIT Platform should serve, only and exclusively, to try to achieve simplification, burden reduction and regulatory improvement. They argued that this suggestion may go beyond simplification and it is a proposal of a review of the whole CAP, where decisions should be taken in the respective and appropriate political forums. This addressed a concern expressed by Freistaat Sachsen that overlaps between the two pillars resulted in the risk of additional compensation and further administrative burden in managing consistently the respective measures in both pillars. For government members, a key issue was that a more targeted, risk-based and proportionate controls regime is required in order to enable the delivery of the environment public goods envisaged through agri-environment climate measures and to ensure farmers can continue to access this income stream. While some Stakeholder group participants agreed with this, others believed any broader review of both Pillars should take place in the context of a more holistic ‘fitness check’ of the CAP as proposed by the EEB. However, the majority of the Government group firmly rejected this recommendation for a fitness check. The Danish Business Forum proposed a revision of the cross-compliance rules in order to create greater transparency and proportionality of the regulatory framework and to minimise the risk of differing interpretations in the Member States. Again, the Platform could reach no common consensus. The Stakeholder group wanted any review to be conducted in the context of a broader ‘fitness check’ of the CAP. Some Government members were open to the suggestion for new legislation on cross-compliance. Others felt it was too soon to review the legislation and a majority were strong opposed to the ‘fitness check’ recommendation from the Stakeholder group. Based on this experience to date, it would seem that the REFIT Platform, at least with respect to agricultural regulations, is proving rather dysfunctional. It is hard to see much of value emerging from this source to inform the forthcoming DG AGRI consultation on future policy priorities. On the basis of the Work Programme, the Commission, European Parliament and Council will now work on a Joint Declaration on commonly agreed objectives and priorities for 2017 intended to swiftly turn proposals into action. As no new agricultural legislation is envisaged in 2017, it seems unlikely that the CAP review will be specifically mentioned, but the Parliament in particular may wish to see a specific marker regarding the agricultural review inserted into the Joint Declaration. Nonetheless, there appears to be a sufficient political signal in the Work Programme for DG AGRI to begin work on preparing a Communication to be issued next year. But many issues remain to be clarified. These include the scope and ambition of this exercise (will it focus on incremental changes or consider options for bolder reform, will it confine itself to a handful of particular issues, such as risk management, greening, or functioning of the food chain, or will it provide a comprehensive review of all issues in the four basic CAP regulations) and what range of alternative policy scenarios will it describe? Also the way in which any public consultation will be organised and how the results will feed into the definition of the alternative policy priorities to be considered will need to be clarified. It all seems to add up to a busy year ahead for officials in DG AGRI.